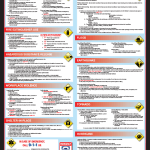 Worksite Emergency Response Procedures – Do Your Employees Know What to Do in a Crisis? Posted on April 7, 2017 by Kathy White, J.D. Posted on December 18, 2015 by Kathy White, J.D. Posted on December 2, 2015 by Kathy White, J.D. CPC Answers – Physical vs. Electronic Posting, What’s the Deal? Posted on August 6, 2015 by Kathy White, J.D.